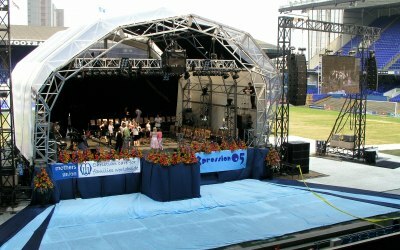 We offer full event production services including sound systems, projection systems, LCD and LED screens, indoor and outdoor lighting and staging. 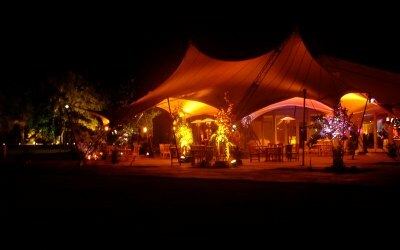 We can supply a complete package with set up and operators, or just small dry hire systems for you to use. 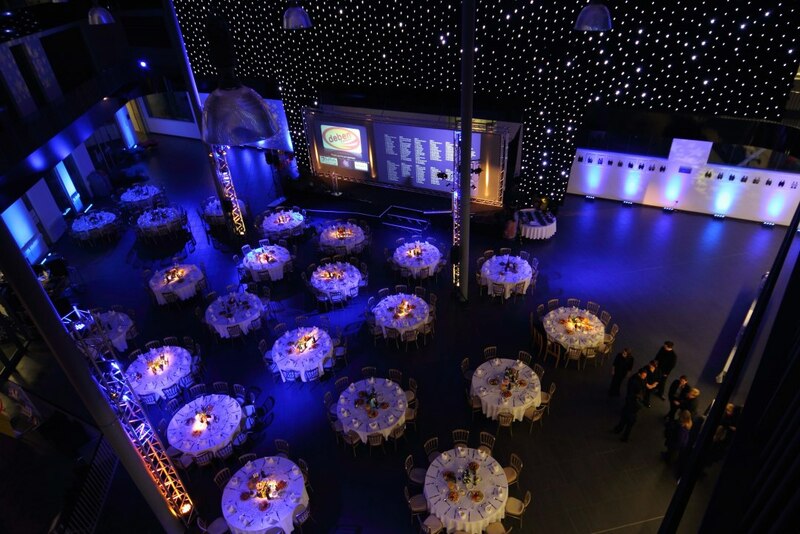 We have a wide range of experience ranging from corporate conferences, awards ceremonies, roadshows and live music events. 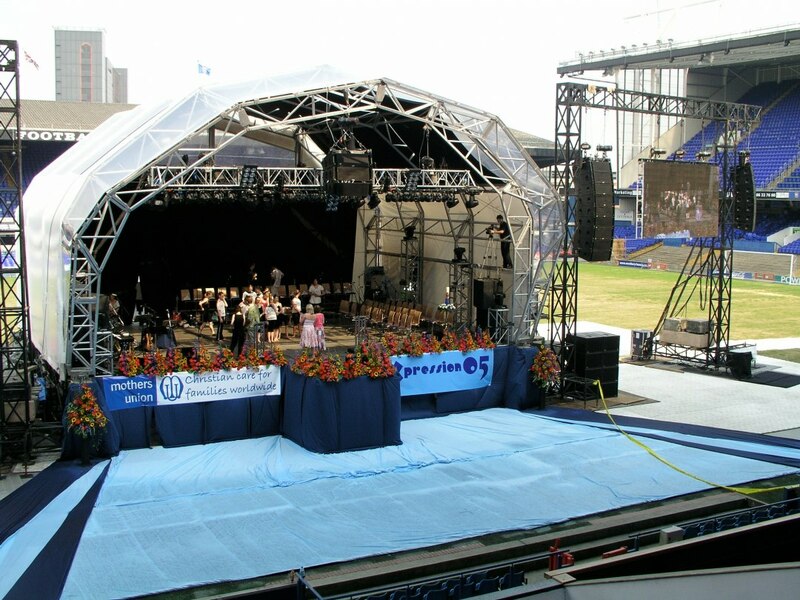 If you have an audience of 10 or 10,000 we have our own equipment in stock to handle each and every event as a dedicated project and not a "one size fits all" approach. We also provide an installation service and can supply and install systems for your needs. 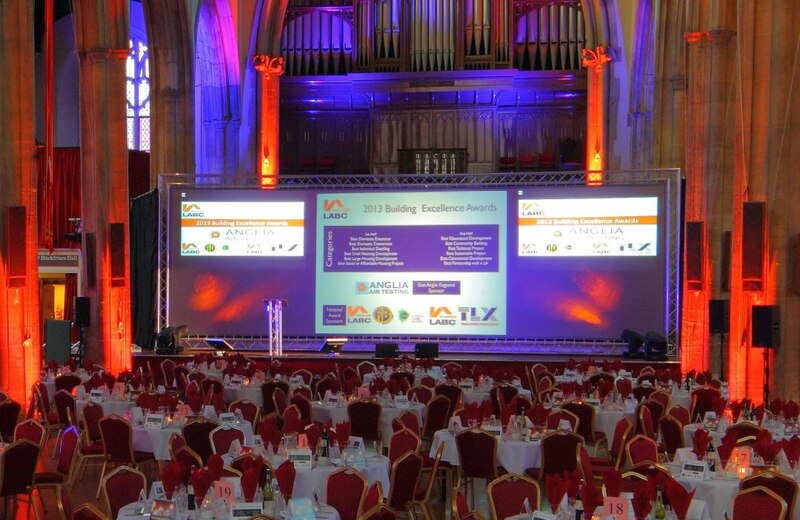 We have experience in designing and fitting systems from a small interactive display for conference rooms, through full boardrooms to sound and lighting for theatres, conference venues and even stadium distributed audio. 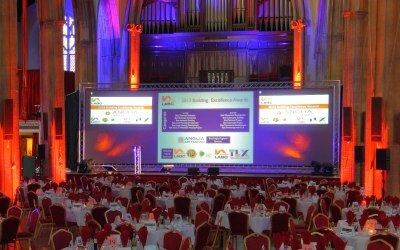 Please give us a call and we can help you with your project, from just giving advice to point you in the right direction or working with your events team to provide the audio visual solution through to taking on the event and production management for you to make your event run as smoothly as possible. 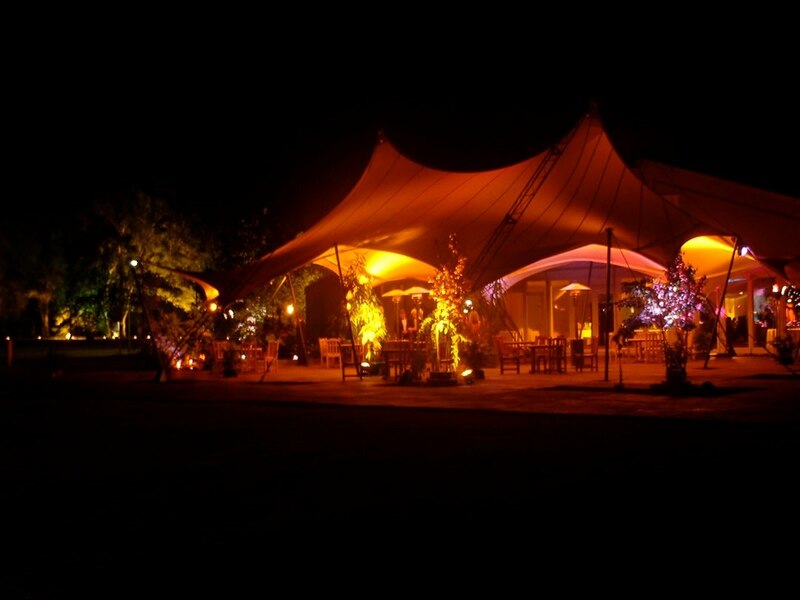 We are happy to work in any area of the country to provide a quality service dedicated to the success of your event. We are ISO9001 and Safe Contractor certified to ensure quality of delivery. AV and filming of a small conference - great service! 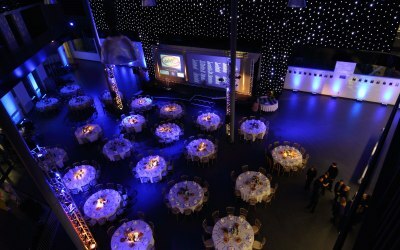 Get quotes from TM Services Audio Visual and others within hours.